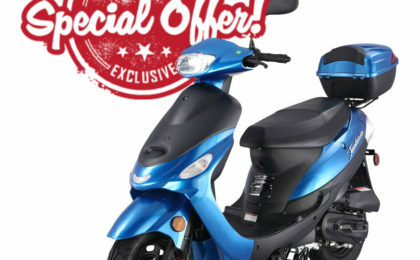 The gas powered Lancer-150 is one of TaoTao‘s top of the line 150cc scooters. 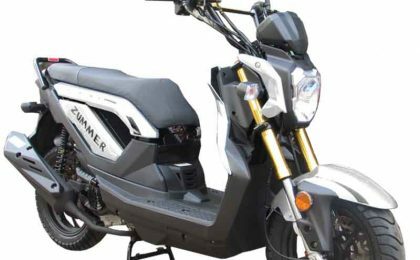 The Lancer 150 features an aggressive dual headlight assembly with integrated turn signals in the handle bars. 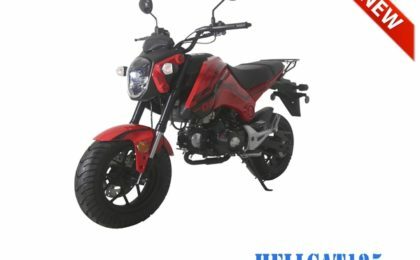 The 13″ rims are the largest in the TaoTao line of scooters, making highspeed runs from Miami to Fort Lauderdale more comfortable. The included tour pack means plenty of storage for personal items. 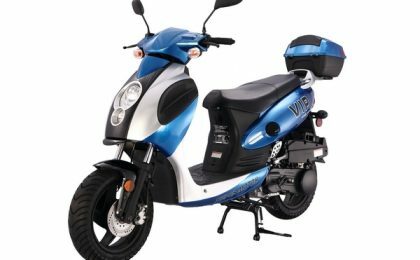 The 150cc motor paired with a CVT automatic transmission provide surprising power that impresses many owners. 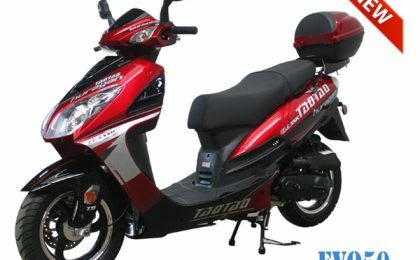 If performance and aggressive styling is what you enjoy, the Lancer-150 from TaoTao is for you. 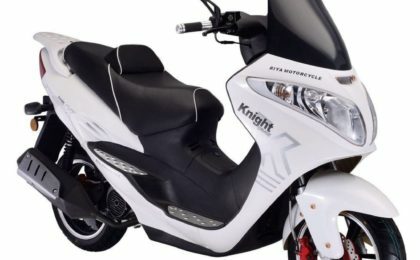 Order yours from Us1scooters.com today!